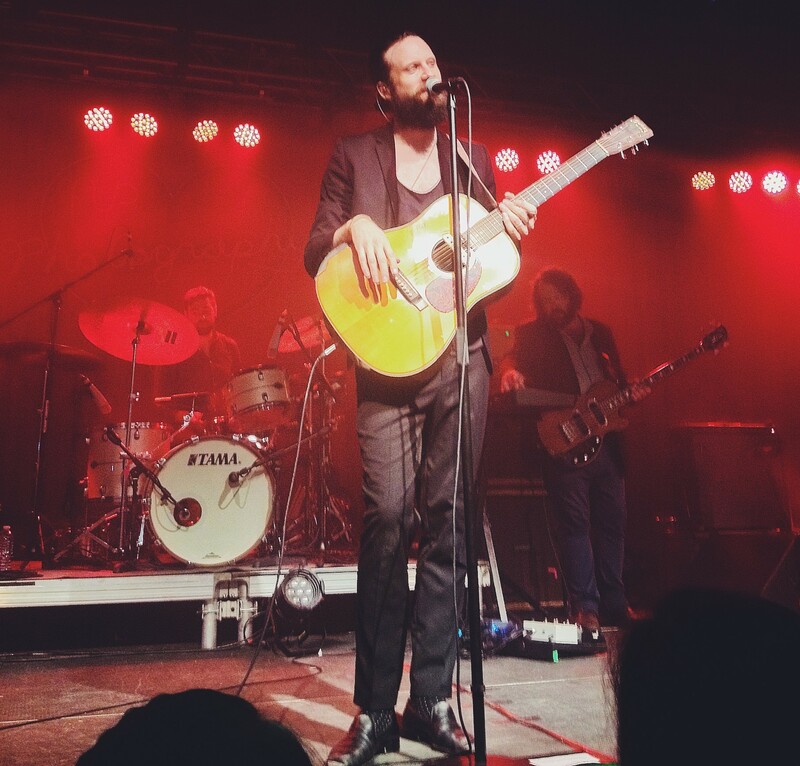 Josh Tillman, who goes by the stage moniker Father John Misty, delivered an exceptional performance at The Ritz in Raleigh, North Carolina, on Tuesday that featured everything from humorous stage banter to slow dances. With the release of his critically acclaimed album, I Love You Honeybear in February, Tillman’s audience has appeared to have grown exponentially, which proved to be a true factor in Raleigh with a nearly sold out show. As the show progressed, Tillman continued to dazzle the audience with slick dance moves, expressions of utter coolness, and witty banter. His frontmanship was best seen during songs like “Hollywood Forever Cemetery Sings,” (during which he played on a shining pink guitar) and “I’m Writing a Novel,” where he interacted with the audience in both humorous and dramatic forms. “I think it’s time for something I do best, a sad, sarcastic ballad,” said Tillman as he began to sing one of his signature songs, “Bored In The U.S.A,” a sarcastic stab at modern society. Tillman’s vocals shined through over the song’s dry, humorous lyrics. After ending the set with a superb rendition of the loud and heavy “The Ideal Husband,” Tillman walked back onstage for a soft encore with the tender love song “I Went To The Store One Day.” Tillman’s vocals sound warm and beautiful, often even better than the record. One lyric in particular, “I’ve got some money left and it’s cheaper in the South,” garnered quite an applause. After the song, Tillman surprised the audience with the uplifting “Every Man Needs a Companion,” where the couple from the earlier Q&A unexpectedly made an appearance on stage to slow dance together. It proved to be quite a sweet moment as Tillman watched, smiling from ear to ear. All in all, Father John Misty made it very clear in Raleigh that his live performance is definitely one of the best out there right now. Tillman will perform a few more dates in Europe, and hopefully will be releasing new music in the near future. 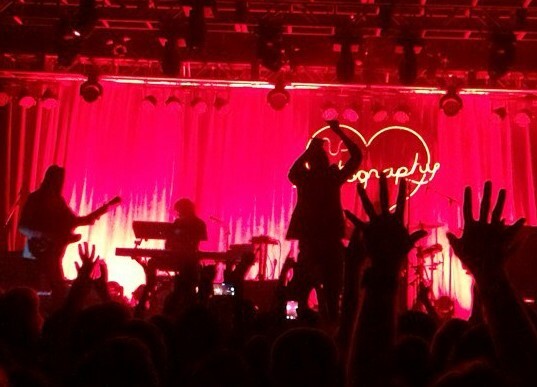 Coverage of the Father John Misty concert in Raleigh, NC.